Tube feeding may be needed as a long term way of delivering nutrition. 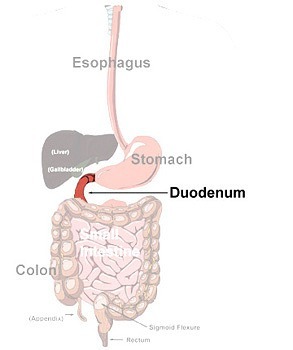 The tube may be placed into the intestinal tract in one of three ways: through the nose into the stomach, through the abdominal wall into the stomach, or through the abdominal wall into the jejunum. Nursing staff may contribute to blockages in the feeding tube. Nurses are expected to flush the tube before and after each medication to remove any residual clumps of pills that could build up to create a blockage and not mix medications together. The medications may solidify into clumps and must be given one at a time. Staff should flush the tube every 4 to 6 hours, whenever tube feeding is stopped, and before and after each medication. The inside of the tube is not that large, about as large as a pencil. It is easy for large fragments to get caught inside the tube and clog it up. It is not easy to unblock the tube. There is a certain amount of folklore about remedies to unclog the tube and one of them are harmful. For example, harmful ones may include colas or cranberry juice. Warm water or enzymes may unblock the tube. In the worst case, the tube would have to be removed and reinserted. If a physician or nurse practitioner orders a new medication, it should be in a liquid form. The liquid form is least likely to cause any blockages. Some medications do not come in liquid form. The nursing staff may assume they can crush a pill. Unfortunately, sometimes the potency of the medication is altered if it is crushed. Pills that cannot be crushed are ones that are enteric-coated, time-release or sustained-released or capsules. Some medications may not be inserted into a thin feeding tube that may go into the small intestine. This is a significant factor that limits therapy. A nurse may commit a medication error by using the tube for medications. Another source of medication error is mixing incompatible medications. Sometimes there are interactions between medications. The incompatibility results in the patient not receiving the therapeutic benefit of the medication. Prescribers and pharmacists are expected to detect such incompatibilities. Nurses are supposed to be educated to not add medications to the tube feeding solution. They may interact with the solution. Also, the goal is for the patient to receive the medication at one time, not over many hours. Also, there may be timing issues related to giving the medication when the tube feeding solution is running. Possibly the solution should be stopped for a certain amount of time before the medication is given. While delivering food through a feeding tube may be life-sustaining, tube feeding carries risks of aspiration (inhalation of food into the lungs) and of medication errors. Some question the quality of life for patients with long term tube feeding. See this article for more on that topic. Med League has nurses who review tube feeding related suits. Please contact us for details.